Pralines are a delicious traditional creole candy that is well-known in Louisiana and closely associated with New Orleans. Made with pecans, brown sugar, cream, and other simple ingredients, these delicious treats will delight your guests as wedding favors. Some varieties are somewhat hard and brittle, others are softer and creamier. Other flavored options are also available, such as chocolate, rum, even Tabasco! 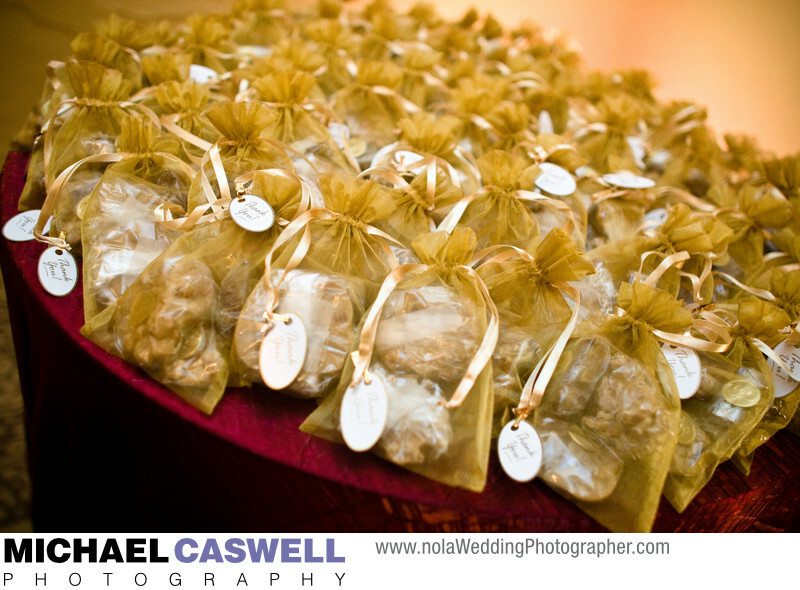 This wedding ceremony and reception took place at Latrobe's on Royal, in the French Quarter, and the pralines were placed on a table by the front door for guests to grab as they headed out at the end of the night.